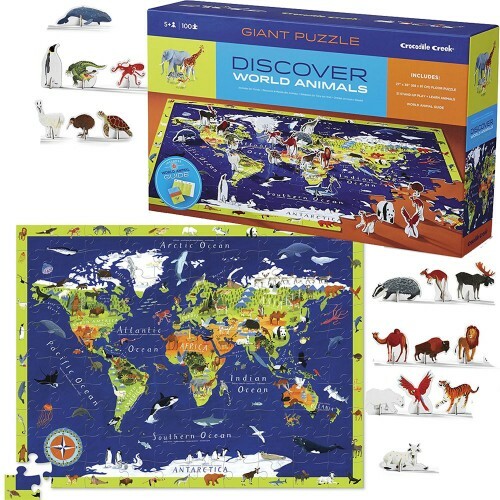 This Crocodile Creek's 100 pc world geography puzzle comes with 21 stand-up animal figures for seek-n-match game or creative play! 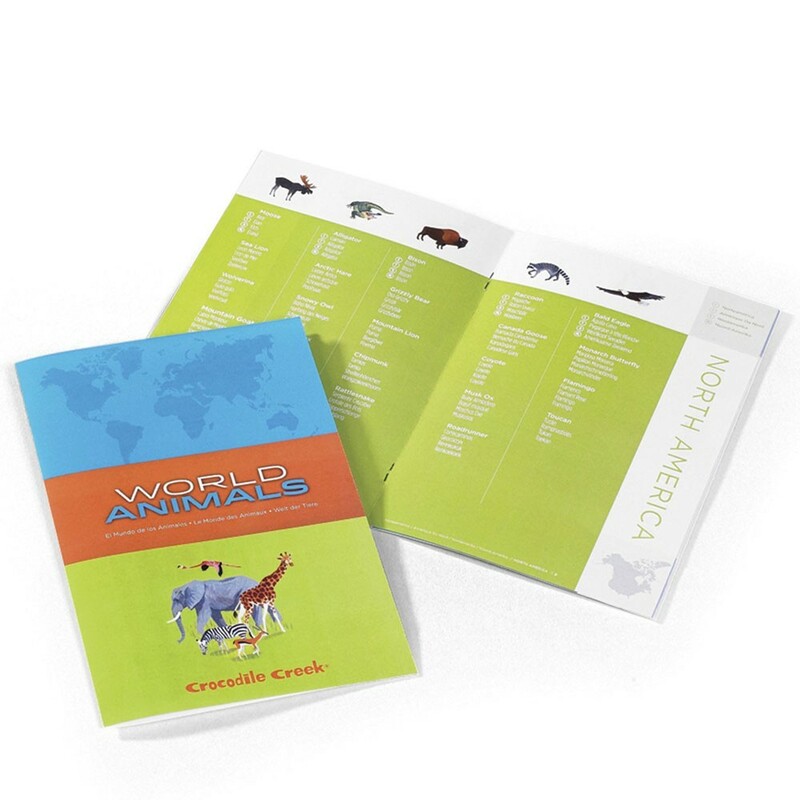 Would you like to travel around the world and discover animals of the world? 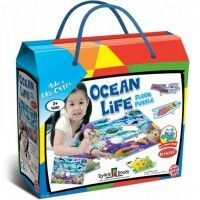 Your child can reach any destination on the globe in just minutes! 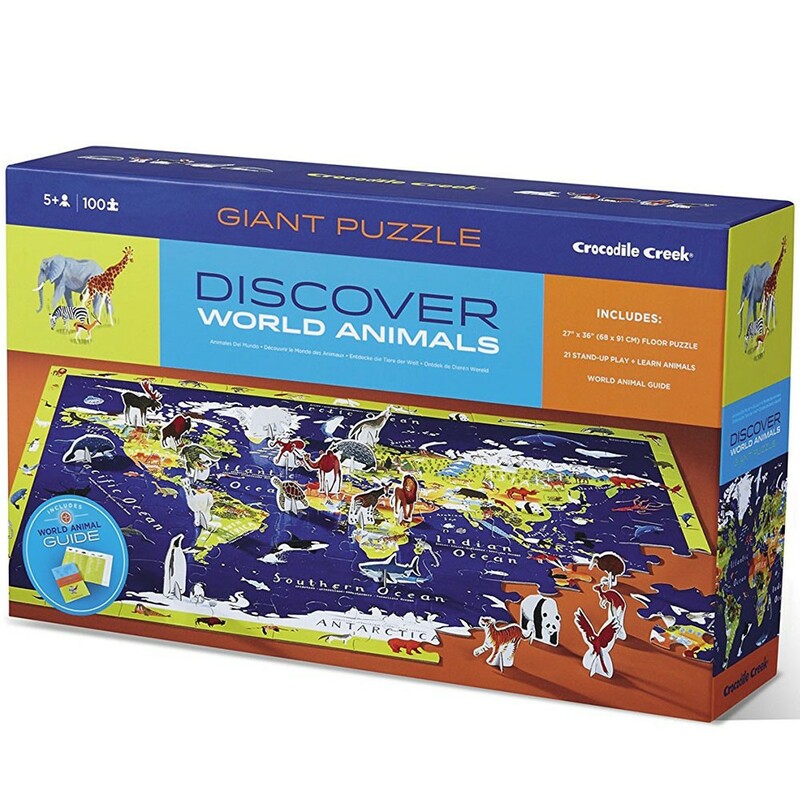 Put this beautifully illustrated Crocodile Creek's jigsaw, find the animals of the world, and add your own standing animals to make the animal world moving! Discover World Animals 100 World Map Puzzle & Play Set is a terrific educational gift idea for intermediate level puzzle fans. 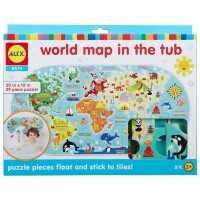 This world map puzzle comes complete with 100 sturdy cardboard pieces plus 21 stand-up figures for seek & find game. 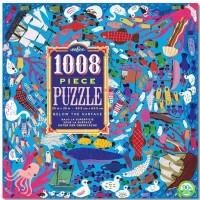 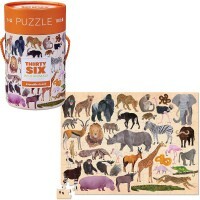 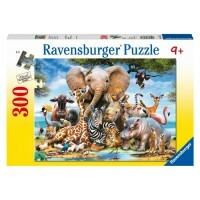 The puzzle game set includes a fun fact book about world animals and geography. 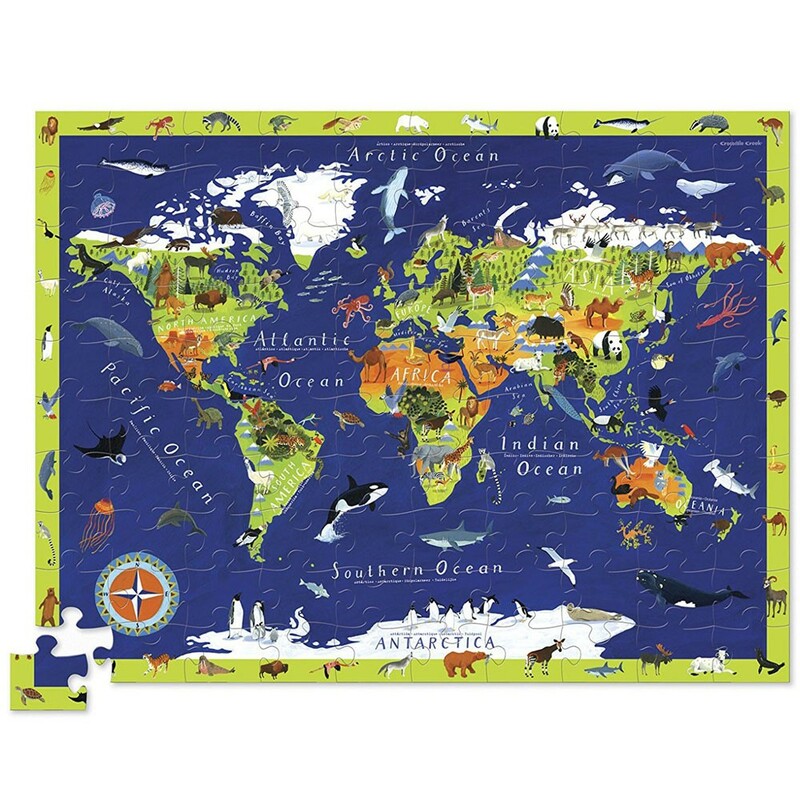 Presenting the physical world map, continents, oceans, and world animals, this map puzzle playset is a great introduction to the world geography. 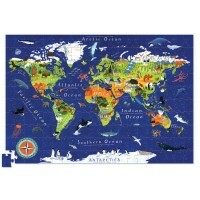 The assembled world map puzzle from Educational Toys Planet measures 36 x 27.5 inches. 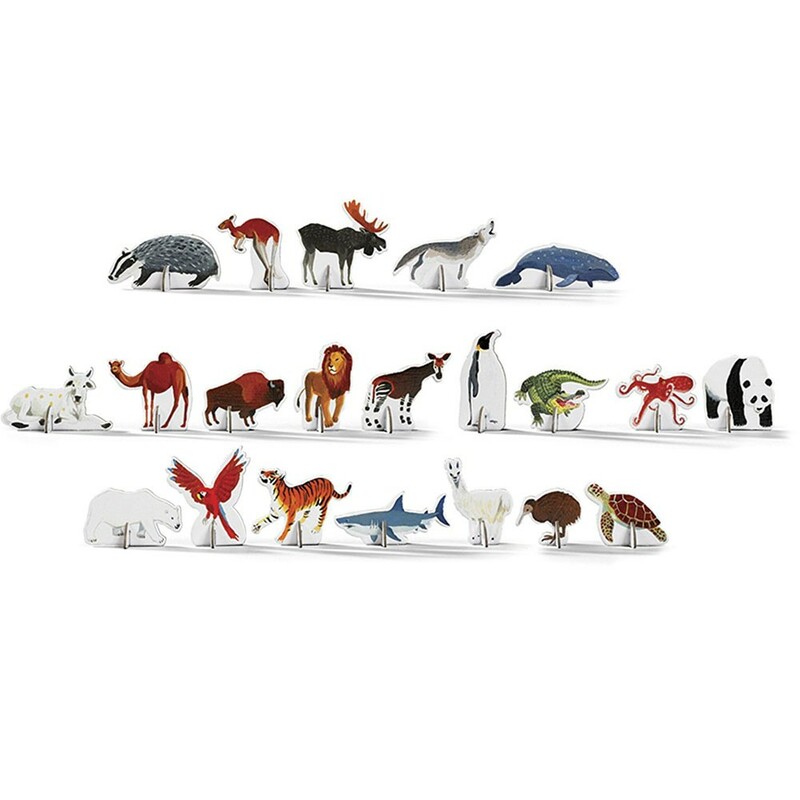 Animal figures are 3 x 3 inches (average). 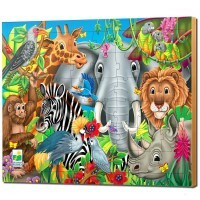 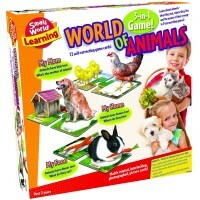 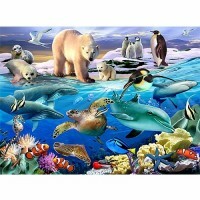 Write your own review of Discover World Animals 100 World Map Puzzle & Play Set.